Is Evernote the Right Tool for CRM? Let's start right out with the fact that Evernote was not created for prospect or contact management, and the Evernote people don't try to market it for these tasks. 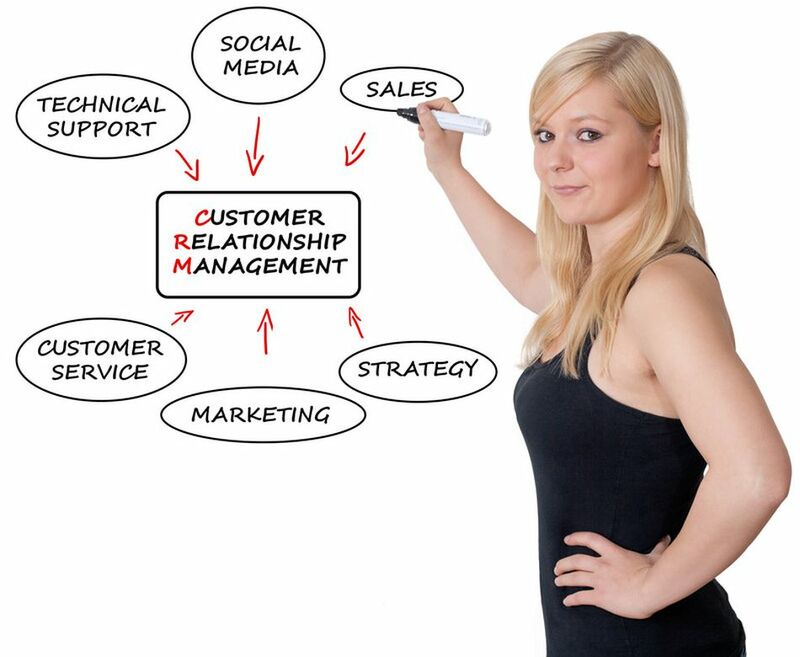 It's not designed or marketed as a CRM, Customer Relationship Management solution. However, once you begin to move much of your business information-gathering and management tasks into Evernote, it's a natural next step to use it for managing real estate prospects, contacts, and clients. Because it's not a database designed for these jobs, the user must adapt to some limitations, and you'll need to take a realistic look at what you expect from a tool to manage customer information. The first thing we should agree on is that CRM, Customer Relationship Management, is all about recording information about our contacts and customers, capturing our interactions with them, and easily accessing that information later for marketing and customer service. I take a minimalist approach to real estate CRM. I don't want to spend a lot of my time in capturing every tidbit of information about my contacts that they're willing to share. I don't do birthday greetings, don't need to keep up with children's names and grades in school, nor do I care what kind of car they drive or their favorite restaurants. If you do, I'm not saying that Evernote won't work, because it will. But, I just think that the time and effort involved in trying to capture and file away this information is far more oppressive than the value I receive and the impression I make on people with an emailed birthday wish. Type of contact/prospect; buyer, seller, vendor, contractor, title company, appraiser, inspector, etc. You may have more information items, and that's fine, but these are my minimum requirement. So, why even bother with Evernote when there are CRM solutions out there specifically designed for this task? For me it's simply the fact that I've pulled together almost every aspect of my business management into Evernote, so why make this a separate tool? I'm already using Evernote and third party tools to capture documents, customer interactions, photos and much more, so it's just a natural extension to not have information residing in more than one place. I've already written about KustomNote, and that's what I use to make CRM a snap with Evernote. The image shows a portion of the input area for a new business contact in my form. You can see that I've created a separate form for business contacts with types. It's not used for prospects and clients, but I'll show you that one next. I want somewhat different information for the two different contact types, and it's more efficient to have different input forms instead of one that's a lot longer. Design your form any way you want, but you can see in the image that mine gets the basic contact info for name, address, business, phones, emails, and the type of contact; appraiser, title company, inspector, etc. To refresh your memory on KustomNote, once you submit the form, it creates the note automatically in Evernote. This is a form (see image) for the same type of basic info, but in this case for someone with whom we hope to do a buyer or seller transaction. In this form, I have fields for prospect/customer type, such as buyer, seller, investor, etc. This is the basic info that would apply to any prospect, customer, or client. Remember that when notes display in Evernote, whether we're looking at the contents of a notebook, all notes, or the results of a search, we see the notes displayed with the newest on top going back in time. Now we have a dilemma, as the most important and most frequently used info is in this CRM info post, which will be the very first or almost the first note we file for every contact. This means that it would display at the bottom of the note list. What I do with KustomNote is set up a prefix for every note title to allow me to pull up this particular note by itself or at the top of a short list. By using prefixes with KustomNote I can pull up limited results that meet my specific information needs. Tags would work as well, and you can set them in KustomNote, but it requires more typing to narrow your search results. Now as I add all kinds of new info, notes, document attachments, emails and records of conversations, they'll pile on top, but I can always pull the basic info up easily. Everything will always key to the contact's name(s). This is the way it should be, as you always want to see the newest stuff on top when you do a contact search. We'll use this prefixing for other forms as well, as we'll see in Part 2 of the Prospect and Contact Management 3 part series.